No, You Cannot Relate to New Orleans. The Chicago Tribune published an infuriating piece by Kristen McQueary, who claimed a feeling of “envy” for the “upcoming 10-year anniversary of Hurricane Katrina.” This sensationalized article justifiably struck a nerve among Katrina victims. It presented itself at perhaps the worst time: at the near precipice of our ten year anniversary. McQueary is correct in her analysis regarding the man-made cause of our devastation. I’m uncertain about her facts concerning Chicago as I would not presume to understand an intricate city with complex issues I have not experienced, as McQueary has done with New Orleans. Her shortsighted facts regarding the “rebirth” are problematic for a variety of reasons, chiefly because she excludes the diaspora who were unable to return home and others who did not benefit from those policies she praised. Hurricane Katrina Damage. Source: BBC, August 2005. Mrs. McQueary, your community was not destroyed. Members of your community did not drown. Your house was not obliterated. You did not lose everything you owned. Your childhood photos are not gone. You were not uprooted. You did not sleep on the floor in a crowded shelter. You did not live in a formaldehyde infested FEMA trailer for three years. You did not deal with the arduous rebuilding process. No, you cannot relate to any of that, much less relate – even “metaphorically” – to those “climbing onto their rooftops and begging for help.” Most evacuees cannot relate to that. Despite some positive results from our tragedy, you should never find yourself “praying” for such a catastrophe. We do not wish our life perturbing experiences upon anyone. One would not envy the horror of the 9/11 attacks because they felt the new skyscrapers looked nice. You tweeted your piece was “about finances and government” and that you would “never diminish the tragedy of thousands of lives lost.” That’s not true. That’s not enough. That piece is irresponsible and insensitive. Remove it. 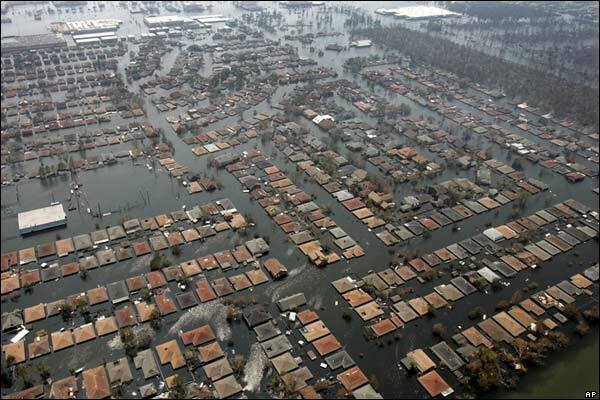 The 10th Anniversary of Hurricane Katrina is only two weeks away. I wrote this poem in memory of the 1,833 victims who perished. While it was a time when we all lost family, it was also a time when New Orleans came together, as a family. I hope you enjoy it. Hurricane Katrina couldn’t wash away our culture. She couldn’t wash away our spirit, couldn’t wash away our pride. She couldn’t wash away our music or how we like to party. She could never kill New Orleans, no matter how hard she tried. She blew into New Orleans in late August, ‘05. She smashed into our levees like a fast pitch line drive. Thousands of our people weren’t ready for her anger. She’ll go down in our history as a mean Category 5. Soon our weak levees gave way to her meanness. The brown water covered most of our beloved city. While the rest of the Country shook their heads in dismissal. New Orleans’ survival was indeed not looking pretty. But the Who Dats stare danger right back in its face. As a family we gather around and as a community we embrace. The people of New Orleans don’t take nothin’ laying down. We’re the Who Dat Nation! We’re the talk of the town! Once the water left our City and our people came back home. It was time to clean up our houses and our beloved Superdome. Then came the Radiators and our jukebox was turned on. Vince Vance & The Valiants returned and the Wild Magnolias too. And Harry Connick arrived with his entire sound crew. ‘They All Axed for You’ was playin’ without no restraint! People started to smile again cuz New Orleans was getting clean. They started cooking the gumbo and the Saints started to win. New Orleans was finally back on its dancin’ feet again. Soon the snowball machines were humming and the parades were run on schedule. The king cakes were baking and we could buy Roman candy. The shrimps were getting boiled and the crawfish were getting peeled. The people started smiling cuz the Katrina wounds were getting healed. Indeed our culture is about us the people . Very nice poem!!! !